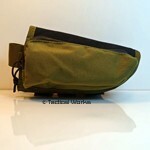 TacOps Cheek Pads :: Tactical Works, Inc.
Tactical Operations Stock Pack is made in the USA with rugged materials and quality craftsmanship. The TacOps pad is built for a solid comfortable no-slip cheek weld and has built in storage. 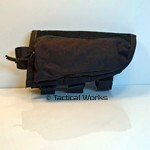 The pouch is ideal for small tools, extra parts, CQB knife and/or first aid. Perfect for the bench or in the field. Outside of the pouch you can hold 8 rounds of ammo and a separate slot for a range card. The same rugged materials and quality craftsmanship without the ammo loops. The TacOps pad is Made in the USA and built for a solid comfortable no-slip cheek weld and has built in storage. 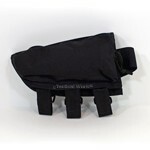 The pouch is ideal for small tools, extra parts, CQB knife and/or first aid. Perfect for the bench or in the field.